From the leadership to the employees, our goal is to provide as pleasant an experience as possible during a difficult time. Whether your need for a final resting place is immediate or you are planning ahead for the future, Lincoln Memorial Park is ready to help you make the best decisions for you and your loved ones. Lincoln Memorial offers a complimentary Personal Planning Organizer which provides a central place for you to write down the location of important documents, such as your will and living will, life insurance policies, investments, and also note veteran’s and social security benefits. It has a helpful format that allows you to note your wishes for your funeral and cemetery service as well, so your loved ones are not left guessing what you would have wanted and then wondering if they made the right decisions. 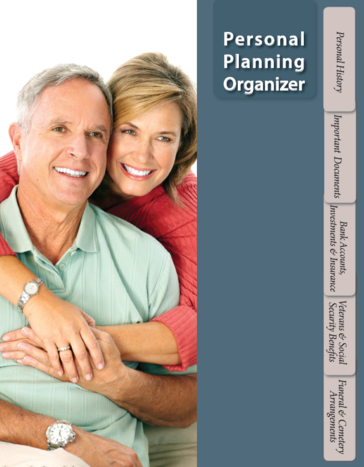 Contact us now to request your free Personal Planning Organizer. Our focus is guiding a mourning family through the necessary steps of making the final resting place arrangements for a loved one. Call or visit our location, our Family Service Counselors are available to help you in your time of need. We believe that planning ahead is one of the greatest gifts you can give to your loved ones. By making arrangements for your final resting place before there is an immediate need, you are able to relieve your loved ones from the pressure of those decisions.